One of the best ways to get potential donors to become engaged in the process of your online fundraising campaign is to provide them with a video overview that explains both why you are hosting the fundraiser and what your overall goal is– Most fundraising videos can be done with your iPhone. Consider for example how much easier it has been in the past for you to connect with someone’s attempt to raise money online for a movie when they posted a teaser trailer on their fundraising page. The same idea can work for fundraisers of all types, so whether you are asking people to donate online to cover someone’s medical expenses or to launch a new product line, you should definitely incorporate a video. Even if you have never shot a video before, you can easily harness the visual aspect of the Internet to draw in a bigger audience. To bring everyone up to speed, though, we will begin this post by going over the six most basic steps that will allow you to create a successful video, and then we will include 11 more steps that will help you take your video to the next level. 1.) It is not necessary to obtain perfection with your video. Consider how often you have seen a video that was clearly put together with someone’s webcam that still captured your attention. The most important aspect of your video is simply getting the information out there. Doing that does not require excellent camera skills or Hollywood special effects. Keep in mind that it is always better to have an amateur video than to have no video at all. 2.) People will be more responsive to your natural self than to an overly polished version that you try to present. Consider the level of trust that you have felt in other fundraisers when the organizers have allowed themselves to be seen as real people. This same benefit can be experienced by your fundraiser when you put away the script and speak naturally about your cause and why you feel compelled to support it. 3.) Keep in mind that although the cause is real to you, your potential supporters probably have no idea what your cause is about. For example, if you want people to donate online to help a sick animal get surgery, you need to provide images or video of the cat that will help people feel a connection with it. By doing this, you will bring your cause to life and make people feel more compelled to make a donation. 4.) In addition to making the fundraiser feel real, you also need to let people know exactly how you will be using the money. Consider previous fundraisers that have outlined the process of how they were planning to collect and allocate donations. Following in their footsteps will give you the best possible results. For more tips on how to explain your cause visit here. 5.) Follow up on step four by showing a visual representation of where the money will be going. For example, if you are raising funds for homeless animals, you should show footage of the shelter that you will be giving the donations to. This will help donors feel connected to the entire process. For more tips on effective imagery read here. 6.) Even with these suggestions, it is important to focus on the message instead of perfection. Consider how many people who have created videos during the process of learning how to fundraise. Each successive video that you make gives you a chance to hone your skills, but putting the first video together is the most important thing to focus on. Now that you know the basics, it is time to take an in-depth look at 11 additional video tips that will help you turn your fundraising ideas into a successful campaign. 7.) Professional Presentation – Everyone wants their video to have a professional presentation, but there is no need to spend a lot of money on expensive equipment in order to achieve this goal. If you take a moment to think about some of the most successful fundraisers and even the most successful independent movies of the past few years, you will realize that money and equipment come second to a good idea and well executed presentation.Making the most out of what you have is definitely an important skill for anyone who is learning how to fundraise to possess. The entire process of attempting to raise money online requires a bare bones approach because it makes no sense to spend a lot of money on equipment instead of putting that money towards your fundraising goal.There are several things that you can do to make even the most inexpensive camera provide a more professional looking video. For example, even the most expensive equipment in the world will not provide a quality video if you fail to utilize proper lighting. Once you are done watching the video, grab your camera and start practicing with different lighting conditions to determine the ideal setup for your fundraising video. 8.) Avoiding Shadows – As mentioned above, the lighting conditions when you shoot your video are going to play a major role in how professional looking the end product is. Therefore, it is necessary for you to learn how to make light work to your advantage. Consider for example videos that you have seen in the past that appeared to be way too bright or too dark. The people who captured these videos failed to pay attention to the importance of properly utilizing natural light. Capturing the perfect natural light will save you a lot of money on lighting equipment, and it will also make your video look a lot more professional. The mistake that most people make is to assume that they want to have as much sunlight available as possible. The truth, however, is that shooting a video in the direct sunlight that accompanies the middle of the day will either cause your subject to become over-saturated or to have very harsh shadows on their face. In many cases, the midday sun will even cause both issues. Avoid these problems by shooting during the sunrise or sunset — its the best way to make your video look as if it was shot with professional equipment even if you actually just use your laptop’s webcam. To reiterate, perfect time of day to use natural lighting is shortly before sunset or shortly after the sun rises. Professional photographers have been utilizing these tips for years, and their methods work exactly the same for videos. You can learn more about this entire process by visiting this photography guide to proper lighting. As long as you use the time of day to your advantage, you can create a video that has the perfect amount of natural lighting. 9.) Speak Clearly – The major issue that most people have with creating a fundraising video is that they do not feel comfortable in front of the camera. Consider for a moment, though, how many times you have seen a video that contained someone who seemed to have the inability to speak like a normal human being. Those videos are always a big turn off, and they are the worst way to introduce your fundraising ideas to the world. Instead, you need to make sure that you take the time to relax as much as possible. If you are having a difficult time getting your words out clearly, simply remind yourself that the beauty of making a video is that you are able to start over as many times as necessary. One tip that a lot of novice video makers utilize is to film themselves saying one sentence at a time. After all, editing software will make it simple to link the different sentences together in a way that eliminates all of your pauses. Although the video will look more cohesive if you are able to slow down and speak clearly about your cause in one take, you can still create a very worthwhile video that gives people the pertinent information without needing to put so much pressure on yourself. Regardless of which method you utilize, the most important thing to remember is that rushed words are difficult to understand. A lot of people have the tendency to speed up when they are speaking to a camera, but this will make it hard for people to fully understand your message. Therefore, it is imperative to slow down and speak in an articulate manner. If you have a difficult time doing this even in a single sentence format, you might want to consider asking someone else who is involved in the fundraiser to help out by being the face of the video. Looking for additional speaking tips visit Toastmasters here. 10.) Editing and Transitions – Even if you are able to get through your message without needing to say your sentences separately, you will still probably need to do some editing to get your full message out there. For example, previous fundraising videos that you have seen have probably included photos and perhaps even music in the background. In order to incorporate these aspects, you will need to utilize editing software.There are several different editing software options available. One of the most popular is iMove. If you are unfamiliar with this program, you can learn some tips for getting the most out of the technology by visiting MacLife.com video tips. If you are using an iPhone to shoot your video, you should also carefully consider the many different applications that are available to help you bring your video to life.It is important to make sure that you edit out any errors in the video, and this includes verbal mistakes such as saying “um” in between your statements. Although it is generally okay to say “um” occasionally during a conversation, it can be very distracting during a video. Therefore, you should always take the time to clean up the video so that your fundraising cause is represented in the best way possible.Additional important elements to consider is the transition between different scenes. For example, if you are going to show a couple of photographs and then go back to footage of yourself speaking, you need to make sure that the transition between these two things does not look choppy. After all, without a slow and smooth transition from scene to scene, the viewer’s experience will be jarring, and they will spend more time focusing on the visual issues instead of what your message is. There are several easy built-in transition tools in even the most simplistic video editing software, though, so putting a professional polish on this aspect of your video should not be difficult. Keep in mind that the best fade time between transitions is one to two seconds. Anything longer can also be jarring for the viewer. As long as you consider your transitions and edit out any obvious mistakes, your video will have more of the professional look that you are aiming for. a.) Does the audio sync up to the video? b.) Would a song make the video better? In most cases, the audio will sync up, so the music question becomes the most important one. Consider for instance how many times you have watched a video that had music that caught your attention. Everyone enjoys music, but you do need to be careful because of copyright infringements. Although most popular artists have better things to do than go after a fundraiser for using one of their songs in a video, there have been lawsuits filed over similar things. Therefore, you need to carefully consider your options and determine what your best course of action is. If you happen to have contact with a local band, it might be best to ask them for permission to use one of their songs as the background music of your video and I’m sure they would be more than happy to help your cause, just don’t forget to remind them you will give them music credits to help promote the origine of the song! 12.) Avoiding a Shaky Image – There is nothing that makes a solid presentation look more unprofessional than a shaky image. Consider for instance how often you have seen a video or even a movie that has a shaky image and how distracting that has been. Some people even have an issue with shaky videos making them feel nauseous, so if you want to avoid turning off potential donors, you need to steady your camera. The easiest way to do this is with a tripod, but if you are unable to get your hands on one, there are alternatives. Keep your video steady at all times! Individuals who are unable to work with a tripod can utilize the rest of their environment in a pinch. For example, a table could become a tripod as long as you make sure that the table is both level and at the right height. It is very important to avoid setting your camera on any surface that is not completely stable, though. After all, if the surface shifts at all due to a stability issue, your camera could fall and break.You also need to be cognizant of choosing the right surface so that your video looks even. If you set your camera on a surface that is slightly tilted, all of your viewers are going to spend time thinking about the way the video looks instead of focusing on the words that you are saying. Therefore, to ensure that your important message is received by everyone, you should take a few moments before you begin shooting to analyze your location and select the best possible tripod alternative. If at all possible, though, you should find a tripod that you can use so that you can avoid dealing with the entire issue of finding an even surface. Either way, having the camera sitting on something steady will make your video look much better than having someone hold it while you are filming. 13.) Quiet on the Set – One of the most important aspects of shooting a quality video is to make sure that there are no sudden or unexpected noises in the background. For example, consider how jarring it is when you are watching a home video and a telephone starts ringing in the background in the middle of someone speaking. This sensation of being taken out of the moment is exactly what will happen to your viewers, and it can make or break their decision about whether or not to make a donation. Therefore, you need to ensure that you are in a controlled environment where you will not deal with any unexpected noises. If even your best attempt to avoid noise still leads to something happening, you will need to start filming that section of the video over again. After all, there are a lot of things that you can edit with software and basic knowledge, but getting rid of a noise in the background is difficult for even the most experienced filmmakers. The best way to ensure that your set will remain quiet is to analyze it in advance for any potential noisemakers and remove them. For example, if you are shooting the video in a room that has a landline telephone, you should either turn the ringer off or remove the phone altogether. It is also important to make sure that you put up signs that will keep people from accidentally wandering into the middle of your video shoot. Finally, you will also need to make sure that everyone in the area has their cell phones on silent. By taking these steps, you can avoid either messing up your viewer’s concentration or feeling forced to re-shoot the video. 14.) Selecting the Right Lens – The default lens on every camera is intended to showcase exactly what someone would see with the naked eye. For example, if you have the camera set a few feet from you, it will capture you from your mid-torso up past the top of your head, and it will also capture the wall that is behind you. If you wanted to expand your field of vision in real life, you would need to back up a significant amount. Thankfully, cameras have a wide variety of lenses to choose from that can change the field of vision without moving the camera. The following list details the four most popular options for fundraising videos. a.) Wide-Angle Lens – This lens will allow you to accommodate a much wider view. For example, the standard lens might fit only three people into the shot from their mid-torso up, but the wide-angle lens will fit four people from head to feet without any problems. b.) Fish Eye Lens – Although this trick lens is often used to make an image seem distorted, it also has the capacity to be used as a super wide-angle lens. By utilizing a fish eye, you can capture a large group of people into a single frame. c.) Macro Lens – A macro lens is most commonly used for extreme close-ups of nature. In other words, if you want to capture close-up footage of a flower, a macro lens is definitely your best choice. 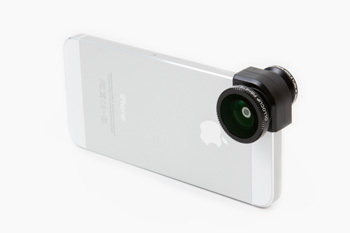 d.) Panorama Lens – This lens lets you capture a video that showcases 360 degrees. Although this might seem out-of-place for most fundraising videos, it can serve a purpose if you are trying to capture a dramatic viewpoint. With so many options, it can be difficult for an amateur to make a selection. Fortunately, you can learn more about your lens options by looking at the large selection at Photojojo.com! 15.) Special Effects – Although a lot of people like to incorporate special effects into their videos, it is our professional opinion that these additions can actually cause too many visual distractions. Consider for instance how many times you have been watching a video only to be taken out of the experience by an unnecessary special effect that was added in during post processing. Keeping your video more clean and streamlined is absolutely the best way to ensure that your message is received by each viewer.If you have your heart set on including a specific special effect, though, you need to make sure that you minimize its potential damage by avoiding placing it into your video during a section when you are explaining something important. However, your best bet is to simply avoid these visual distractions altogether. The staff at DonationTo.com firmly believes in the importance of getting your message out, and we have seen too many videos with flashy special effects that cause the viewer to become confused. Therefore, we advise all of our users to take a more straightforward and simplistic approach to creating their videos. 16.) 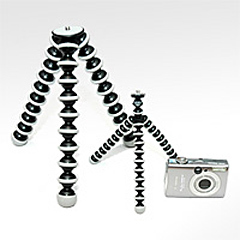 Camera Technology – It is not cheap to purchase a new camera. Fortunately, however, most of you will already have a camera available. 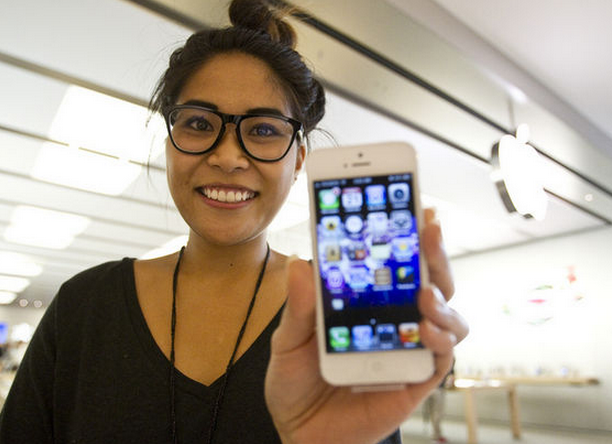 Consider how many people have made huge viral videos by using nothing more than their iPhone. This video technology is within the reach of every smartphone user. You can also find a camera built into most basic point and shoot cameras and laptops. Due to this, cameras are easily accessible to anyone who needs to shoot a video.If you have your heart set on obtaining the best possible camera equipment, though, you can easily leverage the power of the Internet to sync up with art students and other individuals who have access to everything you will need. By placing an ad on Craigslist, you can connect with art students who will welcome the opportunity to add a video for your fundraiser into their portfolio. The best thing about going this route is that you will get a video that looks very professional. If you can its always nice to set some type of small budget to provide to the student so he can feel extra good about helping you with your cause.Your friends and family members might provide another good resource for high quality camera equipment. If that is the case, it will probably be much easier to get the video shot and edited on your time schedule. Keep in mind, however, that it can sometimes be much more difficult to figure out how to work with expensive camera equipment because there are so many different options. To keep things simple, you can simply use a webcam or your smartphone. 17.) Frequency and Practice – No one will be an expert the first time they shoot a video, but each video will definitely provide you with a good learning experience. For example, you might find an unexpected shadow or background noise in your video even though you took steps to minimize these potential issues. When you find problems like these, you should take the time to determine what caused them to happen so that you can avoid them in the future.A great way to keep donors and potential donors engaged in the process is to post new videos on a regular basis. Doing this will help people stay informed about the entire process of your fundraiser, and it will also help you learn more about the process of shooting a professional looking video. Keep in mind that people will be the most interested in the most recent video that you have posted, and this means that your growing video skills will help convince people to become involved in your online fundraiser. Ultimately, your goal is to get people to feel connected enough with the fundraiser that they will make an online donation, and providing fresh content on a regular basis is one of the best ways to ensure that this happens. Even if you have never shot a video before, you can easily learn how to make a quality video for an online fundraiser by reviewing the 17 tips listed above. Keep in mind that everyone has to start somewhere, and there is no shame in creating videos that look like an amateur shot them instead of Steven Spielberg.In order to give your audience the best possible presentation, you need to focus on the most important aspects of your video, including the lighting conditions, the way you speak and selecting the proper audio. Always remember that there is nothing more distracting than a video that is filled with unnecessary special effects, and the last thing that you want to do is have someone miss the main message of your cause because they are too busy looking at something that is flashing on the screen.Instead of spending a lot of money on camera equipment, you can easily shoot your video by using a smartphone or a webcam. If you prefer to have a more professional touch, though, you should consider asking an art student to help out in exchange for letting them place the video in their portfolio. Regardless of who shoots the video, however, make sure that you either use a tripod or a steady and level surface to avoid having a video that is shaky. It is also important to make sure that you keep any transitions in the video from looking choppy by carefully spacing them out and allowing fading intervals of one to two seconds. By utilizing all of these tips, even a complete beginner can start making fundraising videos that will greatly increase their total number of online donations. To crowd fund with visible effects learn how to make videos for your campaign on our donation website. With a video, the crowdfunding for a cause is compelling.